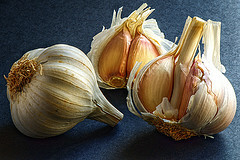 Garlic – My local organic delivery service has the best garlic ever so I have been adding it to almost everything we eat… 1-2 bulbs a week is what we have been going through. It has an anti-bacterial, anti-fungal compound called Allicin and is, like many things, best when eaten raw and unprocessed. You can simply chop or crush some up and swallow with a spoonful of honey, Mary Poppins style. Organic Consumer’s Association: Stop Organic Fraud in the Health & Beauty Aisle! If you’ve shopped for organic shampoo, body wash or make-up, you’ve probably noticed that there are a lot of brands that call themselves “organic,” but don’t carry the “USDA Organic” seal or the certified “Made With Organic Ingredients” claim. A survey which was carried out by the Royal College of Midwives (RCM) has revealed that almost 50% of the midwives that are in charge of maternity teams attributed the ‘increasingly complex’ demands of natural births as the reason their staff are under such pressure. They said that this is because obese women are at higher risk of experiencing complications while giving birth. Today complex births caused by obesity are accountable for 33% of all births that take place in the country. Women who are obese not only have an increased risk of complications but also face a 50% increased risk of their babies being admitted into intensive care once they have been born. Two years ago, my sister, Mara, who is a second grade teacher at a very impoverished school outside of Denver, had her students write a letter to Santa Claus. She had never done this before, and was expecting typical requests from eight year-olds. The letters were anything but typical- they were heartbreaking. She sent an e-mail to her family and friends with some of the requests, asking if there was any way we could help out her students. The request that touched me the most was from a little boy who only asked for “socks with no holes in them.” I posted Mara’s request on my blog, and the response was overwhelming. Each child in Mara’s class received an item they desperately needed, like new socks. We were also able to give every child a new toy, game, or book. Last year a girl in Mara’s class told Santa in her letter, that she didn’t need anything, but her sister needed a coat. This year, the letters are just as touching, and some are just heartbreaking. For three years now, when I read these letters to Santa from these young kids, it puts everything in perspective for me. It also makes me sad these children know what it is like to be cold and hungry. Although it appeared at the end of the day yesterday that the chemical industry had succeeded in killing off Senator Dianne Feinstein’s amendment to ban the use of the toxic chemical bisphenol A in baby bottles and sippy cups, — the Senator herself declared as much in a statement on the floor of the Senate – rumors persist that, in fact, there is a small glimmer of hope that some Senators are uncomfortable with lining up to protect chemical industry profits, rather than the nation’s infants and toddlers. Our children deserve protection from the toxic chemical BPA. Please support a ban on BPA in baby bottles and sippy cups as part of the Food Safety Modernization Act.